Kratom has been used for centuries for its pain relieving (analgesic) properties. Before addictive prescription medication was available, natural remedies were turned to. As these harmful prescriptions have become more popular, people have lost sight in the holistic approach. Now more than ever kratom is becoming extremely important for opiate withdrawal. Millions upon millions are addicted and helpless due to over prescribing of dangerous and harmful medications. Doctors have basically written patients death sentences by prescribing "medications" like oxycodone, hydromorphone, and fentanyl. Getting off of these medications can be almost impossible for some as opiate withdrawal is extremely painful and mentally exhausting. This article is dedicated to providing a system where kratom is used while detoxifying from opiates. With kratom, a happy drug-free lifestyle can be achieved once again by temporarily easing some of the pain symptoms of withdrawal. 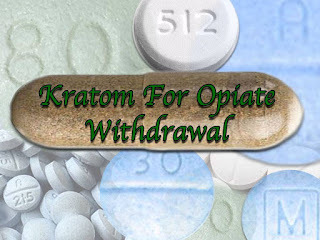 Below, there are multiple guides to follow while using kratom for opiate withdrawal. As described above, prescription pain killers and other short acting opiates like heroin have grasped upon many lives. These opiates with short half lives cause users to feel withdrawal symptoms only a few hours after taking their last dose. This guide will show you how to take kratom for opiate withdrawal for short acting (half-life under 6-8 hours) drugs. For the drugs described above, the onset of withdrawal symptoms can occur as little as 3-4 hours and can last from 7 to 10 days. This regiment of kratom is designed to make opiate withdrawal more bearable in order to live a clean and fulfilling life in the future. This "regiment" is designed for short term use, although kratom can be taken after for post acute withdrawal symptoms which can include insomnia, irritability, lethargy, and muscle aches. This chart is designed for a moderately addicted person (3-8 30mg oxycodone per day and the equivalent dose of heroin) and the dosage of kratom can be adjusted based upon your daily intake of your preferred opiate. The effective alkaloids in kratom stimulate the same receptors that these opiates do so our dosage guide will contain higher than normal amounts than what we would normally suggest for "beginners". As stated in our kratom dosing guide, the strength of a dose of kratom is dependent on what level of concentration you are taking. For simplicity purposes, we will be providing the dose for normal "premium" grade kratom that is not super concentrated. If you prefer a more concentrated form of these products visit the guide linked above. Our goal is for the user to minimize the pain associated with opiate withdrawal and still be able to actively function in their day to day lives while they are enduring this "10 day timeline". It is suggested to take 3-4 days off from work if possible although kratom will help to normalize you at the peak of withdrawal. All together approximately 60 to 100 grams of kratom should be purchased for this 10 day regiment or you can buy our kratom for opiate withdrawal packages that will contain all of the contents you need to take on this big step of your life. If you feel that you fit into the realm of "extremely dependent" to opiates, you may want to take a higher than suggested dose. Unlike prescription drugs designed to combat opiate withdrawal, kratom can be taken with other opiates still lingering on your opiate receptors. Drugs like Suboxone will throw you into painful precipitated withdrawal symptoms if taken too early even is there is just a minuscule amount remaining. Kratom allows you to remain comfortable into the transition of the onset of opiate withdrawal. Also, we recommend that you buy maeng da kratom or a red vein kratom for opiate withdrawal. Also to note...kratom capsules contain approximately 0.5 grams. Remember, these dosages vary upon your level of opiate dependency when you decide to quit. If you were addicted to a large dose of opiates, you may want to considered exceeding the levels on our guide. Please do so at your own risk, but the proportions for each day will remain constant. Day 1: As stated above, short acting opiates like oxycodone and heroin can leave you feeling withdrawal related symptoms in as little as a few hours. Your first dose of kratom should be 4-6 hours after your last dose of opiates. We suggest to start with a small-moderate dose (1 to 2 grams) of normal grade kratom since you will still have some opiates lingering in your system. After about 8 more hours you should be pretty close to the onset of full opiate withdrawal. Now you can take a larger dose. You will want to take 2.5 to 4 grams of kratom. Since hot flashes and chills are a primary concern when detoxifying the body, we suggest that part of this dose (about 1.5 to 2 grams) can be used to brew a small batch of kratom tea. This is best to take right before you try to get your first nights sleep after taking opiates. Day 2: This is your first full day of withdrawal. If you were able to get some sleep the night before, take an even stronger dose (3-5 grams) of kratom to start your day. If taking a red vein or maeng da as suggested earlier, it should give you a burst of energy and eliminate much of the depression associated with withdrawal. About 8 hours later another dose of 2.5 to 4 grams can be administered with a portion of that being brewed into kratom tea if you are experiencing cold chills. Wait about 4-5 hours and if you still cannot sleep take a smaller dose of 1.5 to 2.5 grams to eliminate restless leg and the body aches to get some rest. Day 3: Today will be the beginning of what is normally considered the peak of opiate withdrawal. Day 3 & 4 are the most intolerable, but taking another strong dose (3.5 to 5.5 grams) of kratom will suppress much of the anxiety of being without the opiates you have chosen to break away from. As you did with Day 2, wait approximately 8 hours and then take 3 to 4.5 grams of kratom with a portion of that used to brew tea if you are feeling chills. Wait about 4 hours an take 1.5 to 3 more grams before you attempt to get sleep. If you are still are having difficulty getting rest you can up your night time dose by a couple of grams and take some valerian root which can be purchased by a local health store. Day 4: Still in the midst of the most severe days of opiate withdrawal, day 4 means that you are getting close to diminishing symptoms. A large dose of kratom similar to day 3 is required (4 to 6 grams) to start the day. Wait 8 hours and take a slightly higher afternoon dose than day 3 (3 to 5 grams). Day 4 is usually the most difficult night for sleep so we suggest that you take 2 to 3 grams for your night time dose tonight. Congratulations on reaching the end of day 4. It only gets better from here! Day 5: Your days should be looking brighter than it did on day 3 & 4. You still will have lethargy, but your doses of kratom should have kept you level enough to appreciate your new life away from opiates. Day 5 you can now begin to lower your dose of kratom. Take a strong, but smaller dose (3 to 4 grams) of kratom to start the day. After 8 hours take a 2.5 to 4 gram dose of kratom. Cold chills should be diminishing quite a bit. A few grams of kratom tea can be brewed if you choose, but it is not absolutely necessary. We suggest that you really get out of the house and take frequent walks, especially considering your energy level should be increasing day by day at this point, especially with the stimulating properties of kratom. This will also help you to sleep. Insomnia is usually one of the lingering symptoms that takes some time to subside so walks to help ease your body and mind. The one dose that we suggest to keep at a higher dose is night time. Take another 2 to 3 grams before bedtime as you did on day 4. Day 6: Congratulations on making it to day 6! At this point, you are almost to the finish line. Your morning dose should be further reduced again to 2.5 to 4.5 grams. Your energy level should be returning as well as your appetite. Make it a point to go on more walks and eat a big meal. Having a natural energy supply is important, especially as the days go on your kratom dose should be reduced. After 8 hours has passed since the morning dose, take 2.5 to 3.5 grams followed by a 1.5 to 3 gram dose at night time. Day 7: You are at the tail end of severe opiate withdrawal symptoms. The kratom should have been taking most of the edge off and you should notice that your energy levels are much higher than they have been all week. Start your morning with a 2.5 to 4 gram dose of kratom. You should be close to fully functioning at this point and symptoms should be minimal. Your body should now have built up a stable supply of mitragynine (the primary alkaloid in kratom) so your afternoon dose can be greatly reduced to 1.5 to 3 grams. Day 7 is the only day that doesn't follow the normal trend on dosing as your night dose will actually increase for day 7. Typically, insomnia is the one symptom that seems to linger a bit longer so take a 2 to 3 gram dose tonight. Day 8: One week clean of opiates! Hopefully, many of you are able to say that you are one week removed from all of these dangerous and addictive opiates with the help of kratom. Your morning dose can be greatly reduced to 1.5 to 2.5 grams of kratom. You should feel revitalized and your depression should be minimal, if any. Optimism should have set at these final stages of opiate withdrawal. Your afternoon dose will be reduced once again at 1.5 to 2.5 grams. Night dose will stay the same at 2 to 3 grams as sleep should be much easier to achieve now. Day 9: You be almost feel like your old self before drugs at this point. Day 9 comes with optimism and happiness with your body feeling independent of harmful substances. Morning dose of kratom is reduced to 1 to 2 grams. If you are feeling a buzz off kratom at this point, your dose can be lowered. Your afternoon regiment will also be reduced to 0.5 to 2 grams. If you are feeling good 8 hours after the morning dose try to wait as long as you can before taking kratom again. At this point, your night dose can even be greatly reduced to 1.5 to 2 grams. You should notice that your restless leg is all but gone and you are able to relax in bed. Day 10: The last day of taking kratom for opiate withdrawal. You are almost free to live a happy and drug free life. This is the last day we suggest to take your morning and afternoon dose of kratom. Start with taking 0.5 to 1 gram (very minimal) in the morning. This should barely be enough to give you a coffee-like buzz. Although we are not suggesting to abstain from kratom forever, it is a good idea to give your body a break from substances in order for your brain to regain and recover all of its natural chemicals. Your last afternoon dose should be 0.5 to 1 gram. As with your morning supply, this should feel like a mild caffeine buzz at this point. Your final dose for our 10 day regiment is 1 to 2 grams of kratom for sleep.. If you have made it this far congratulations on beating opiate addicting. We really hope you took the time to read each step thoroughly and better your life for your friends, family, and most importantly...yourself. 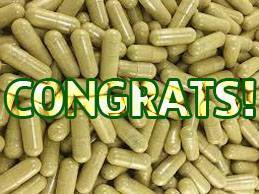 Now that you have read our step by step guide for using kratom for opiate withdrawal, we are leaving it up to you whether you choose to use Mitragyna Speciosa in the future. If you plan on using kratom after the 10 days that we have recommended it is best to wait and use it at night time where you will still have some lingering symptoms including insomnia and restless leg. These are called post acute withdrawal syndrome (PAWS) and could last a few weeks to a few months. Most people do not experience this, but it is always possible depending on the length of time that you were using opiates. We here at KratoMart hope that you can enjoy a healthy drug free lifestyle. Kratom for opiate withdrawal is one of the most beneficial properties of the plant which is why we have dedicated so much time into getting the word out. Although we do believe in the recreational aspect of the plant, we want people to know how important it is to have control of one's life and to achieve happiness. If this guide helped just one person..it was worth the time. Thanks again for reading!